Majid Al Futtaim—the leading shopping mall, communities, retail and leisure pioneer across the Middle East, Africa and Asia—has introduced an exciting new feature on the City Centre Bahrain website called ‘Kids Activity’. The new tab is dedicated to family experiences and invites visitors to easily pre-plan their shopping and entertainment activities for their children. 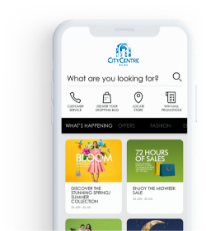 “We are pleased to launch a new feature on the City Centre Bahrain website underlining our commitment to introducing exclusive and innovative services to enhance visitor convenience and a seamless customer journey. Following a comprehensive evaluation of customer habits and their overall experience at the mall, we embarked on a mission to make significant customer centric enhancements, both online and offline. By listening to feedback and driven by innovation, we have launched services and experiences that demonstrate our commitment to leading in the customer service sphere. We encourage visitors to browse the new Kids Activity section on the website and to start planning their trip to City Centre Bahrain,” said Duaij Al Rumaihi, Senior Mall Manager, at City Centre Bahrain. In recent months the mall implemented a series of services to enhance the overall customer experience at City Centre Bahrain. The recent enhancements highlight the mall’s commitment to providing the best possible experience for its customers and exceeding expectations which is reinforced by the team’s ongoing drive for excellence. The mall’s introduction of Hands-Free Shopping set the barre for convenience by transforming a typical shopping journey into a VIP experience. The service invites shoppers to drop off their shopping bags and collect them later or have them delivered anywhere at their convenience, by using the City Centre Bahrain mobile app or calling the team 15 minutes before finishing shopping. Hands Free Shopping is a complimentary service for deliveries made inside the mall, to your car, or to hotels connected to the mall. The service also offers a home delivery option for a small fee within the Kingdom of Bahrain. Enhancements also included a refurbished basement parking which now has dedicated parking spaces close to mall entrances for pregnant women and young families, and not forgetting the bike enthusiasts in the Kingdom, the mall has created a dedicated bike parking area. Environmentally friendly visitors driving electric cars can make use of a free electrical car charging service while they enjoy their shopping, dining and entertainment experiences. The mall also offers a free chargers service. Simply visit the mall’s customer service desk to receive a portable power bank to stay connected while shopping the mall. As a leading shopping and lifestyle destination in the Bahrain, City Centre Bahrain will continue to lead by example, introducing customer innovations to improve its world-class offering following its vision to create great moments for everyone, everyday.